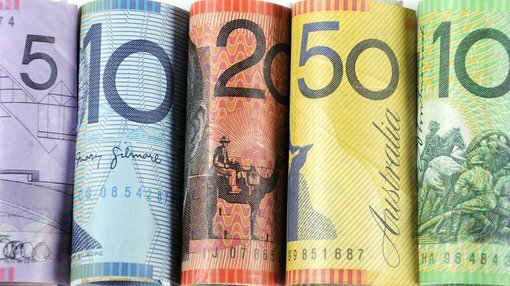 Australia’s seasonally adjusted Wage Price Index (WPI) rose 0.6 per cent in December quarter 2017 according to figures released by the Australian Bureau of Statistics (ABS). The pace of wage growth increased slightly over the last quarter, with public sector wages leading the charge. At present, wages in the public sector are rising at 2.4 percent year-on-year, vs 1.9 percent in the private sector. However, a rise of 2.1 percent on a yearly basis is barely above Australia’s inflation rate, which is running at 1.9 percent. This means that real wages growth, or wage increases adjusted for the increase in price of consumer goods, is running at a measly 0.2%. The release comes as the International Monetary Fund (IMF) urged the Reserve Bank of Australia to maintain its ultra-easy interest rate settings to ensure stronger wage growth. The belief amongst most economists is that persistently low unemployment and interest rates will eventually cause wages to rise. However, significant and sustained real wage growth is rare, despite these conditions being prevalent in much of the developed world. The IMF has forecast that Australia’s wage growth would remain at or below 2.9 percent until 2023, which is significantly lower than the Australian Treasury’s forecast of 3.5 percent through the same period. If the IMF is correct, it will throw the federal government’s budget figures into doubt, and could lead to greater budgetary deficits in future. This is because of the ever increasing share of the tax burden bared by salary earners. The IMF’s comments come as Australia’s coalition government are trying to sell the idea of cuts to the corporate tax rate. The Coalition argues that the proposed corporate tax cuts will lead to an increase in wages, pointing to analysis by the treasury department. The Treasury’s modelling indicates that the tax cuts could lead to an increase in after-tax real wages of around 0.2%, in about seven years’ time. Many economists are less positive on the idea than the treasury department. For example, Peter Swan, an eminent finance professor at UNSW, and a renowned conservative, has recently argued that the entire benefit of cutting company tax flows to foreigners — who have already decided to invest here at present tax rates. Mr Swan also argues that this will actually lead to an increase in personal income tax, as the government will have to find a way to fund the revenue hole created by corporate tax cuts.